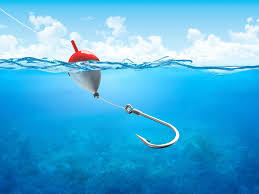 25 Sep Hook, Line and sinker? It is a non-descript corner of Salem, Tamil Nadu. The lady was sitting in her small flat in a usual dry evening. Our territory manager approached the lady and asked if the particular person lived in the address. Actually, he was no more and the family has changed the residence three times. Our territory managers do a bit of Sherlock Holmes, before they reach the right prospect and he knows about it. We are in the business of harnessing forgotten wealth. Shares or mutual funds predominantly. Insurance, PF and Bank Deposits off and on. Wealth in these forms is rendered useless for various reasons – Death of the holder, change in name, change in address, change in country of living, mere loss of original certificates… Reasons are endless, but the result is same. Legitimate wealth is not available to the legitimate owners or legal heirs. We painstakingly, collect a database of these forgotten wealth. And try to reach out to them. Coming back to our Salem lady, following conversation ensued with our manager. “Is he in?” The Manager knew, the husband was no more. Quite difficult to say so. “He is no more. Five years. Why are you asking? Any problem?” – No M’am. Actually, there is some solution in the form of forgotten wealth. “No. Your husband left some shares. We can get it for you”. “How much?” Thank God for small mercies. She knew what a share is. “What?” End of story. She refused to believe in our manager. “Come on Sunday, when my son is at home”. She refused to even take our business card. I don’t blame the lady or anyone like that. In this age of scams and conmanship, I would be a worried man if someone comes in and offers silver bullet. Our manager went back unannounced on the immediate Sunday. Here comes the conman trying to drown me and make me fall for it hook, line and sinker. Initially, the son was also sceptical. It took two more visits and a respectable local reference before they opened out. Father invested in shares. They knew the father invested, but nothing more. He died leaving behind the wife and two sons. They have shares in two blue chips totalling Rs.35 lacs and another Rs.3.00 lacs in unclaimed dividends. There is a spin to the tale. The other son left the house without telling anyone 20 years back. Nobody knows where he lives or God forbid, if he lives at all. Father died intestate. If someone dies without leaving a will, we need to obtain a legal heir certificate and succession certificate from court showing who are all the legal heirs. Process in normal case takes minimum eight months if the legal heirs can come and give witness to the court. Here situation is intriguing. The family does not know the whereabouts of one legal heir. We took the contract and we established the facts at the time of obtaining the legal heirship certificate based on the affidavit of neighbours and their witness. We are in the process of getting the succession certificate and it should happen any time soon. 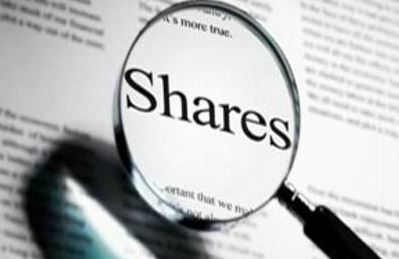 There upon, we have to file FIR represent the client, get the duplicate shares, apply for transmission fulfilling the whole gamut formalities such as transmission forms, indemnity bonds, surety, affidavits, no objection certificates etc to get the shares in the name of the son, open a demat account and dematerialise the shares. We do all these and we get our fees only upon success. We don’t charge the client before that. Hook, line and sinker? Nah. A legitimate business that addresses an unsolved problem of vast majority and gives them their legitimate wealth. We get our share too. Now on to customary marketing. At least Rs.50,000 Crores of unclaimed wealth is lying somewhere in the oblivion. 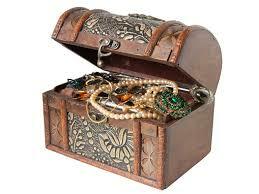 If you think, you or anyone known to you may be a legitimate owner of such wealth, please contact us. We can be of professional help. goldenegg@smbenablers.com shares@smbenablers.com +91 90941 94445. I am sure this kind of help means a lot to the deserving. Great Job!